Fiserv Forum was created to give Milwaukee a new way to live, to work and to play. More than just an arena, Fiserv Forum is the central hub of Deer District for recreation in Milwaukee, connecting communities, neighborhoods and generations…for generations to come. Featuring an active plaza space designed for year-round community use outside and sweeping views both into the bowl and out to the city throughout the interior, Fiserv Forum is being built to redefine world class fan experience and highlight the communal nature of attending live entertainment. 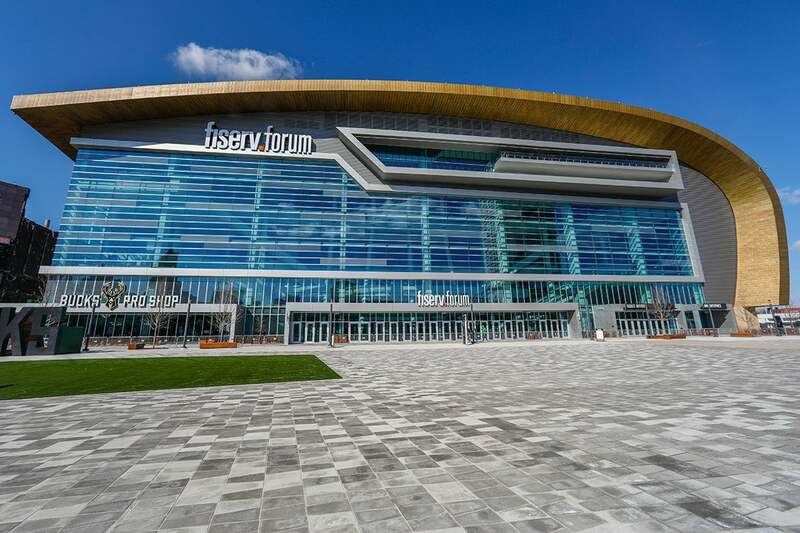 This is your opportunity to see behind the scenes of this transformative venue and learn about how the vision of Fiserv Forum became a reality. Add in the Milwaukee Bucks storied past and electrifying present, this approximately 90-minute experience will leave you informed on the past and inspired about the future of entertainment in Milwaukee. To ensure full-enjoyment for all, tours are limited to 25 guests and begin at the Bucks Pro Shop, located on the east of Fiserv Forum. Tours will last approximately 90-minutes. For private group tours email [email protected] or call (414) 227-0599 and select option 2 to arrange the date and time that meets your desire. The ultimate experience. Combine an exclusive Fiserv Forum tour with a pre-event meal at The Mecca Sports Bar and Grill along with tickets to that day’s event at Fiserv Forum. This customized experience will provide an unforgettable memory at an all-inclusive price point. Contact [email protected] or call (414) 227-0599 and select option 2 to arrange the customized package that meets your desire. Parking is recommended at the Highland or 5th St. Parking. Both ramps are located adjacent to Fiserv Forum. Click here for parking information. Tour dates, times and tour stop availability are subject to change.